The order of reptiles called crocodilians comprises twenty-three species subdivided into three major zoological families: crocodiles, gavialidés and alligatoridés. 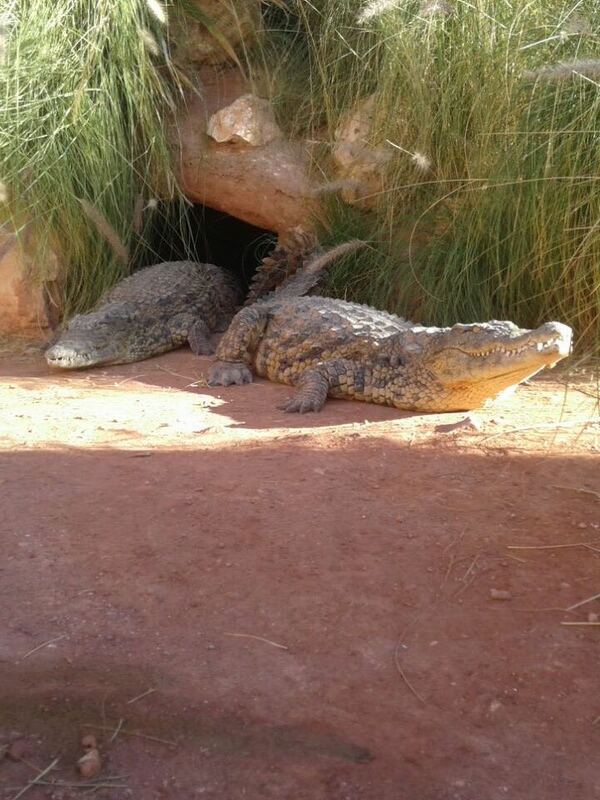 The resident species at CROCOPARC is the Nile crocodile (Crocodylus niloticus). It is one of the species referenced as being potentially man-eating. Some males can reach the impressive size of 6 meters per ton, which places them within reach of prey such as zebras and wildebeest. 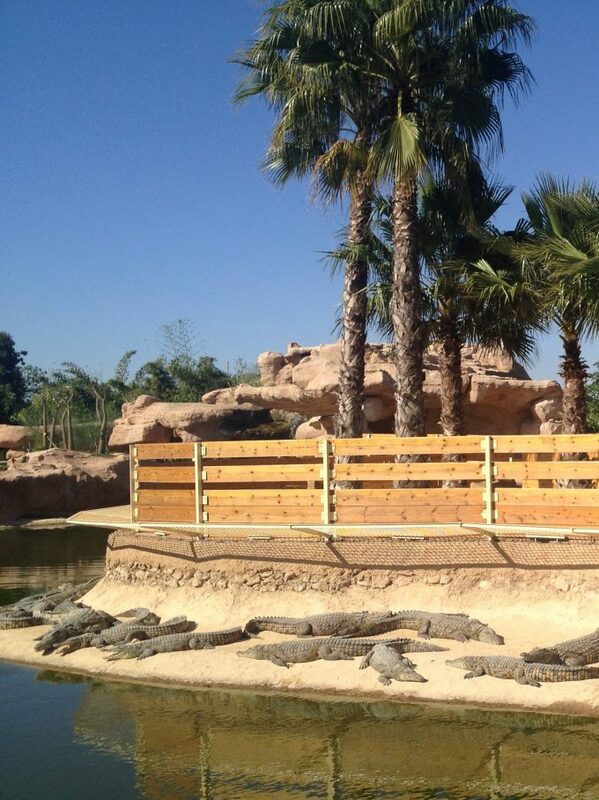 Young crocodiles which were born in breeding over the past two generations have been brought from Djerba (Tunisia), the climate being very similar to that of Agadir. Crocodiles arrive having reached the age of three years after being raised outdoors from an early age. They therefore easily acclimatise to their environment and may facilitate to form with medium sized crocodiles. 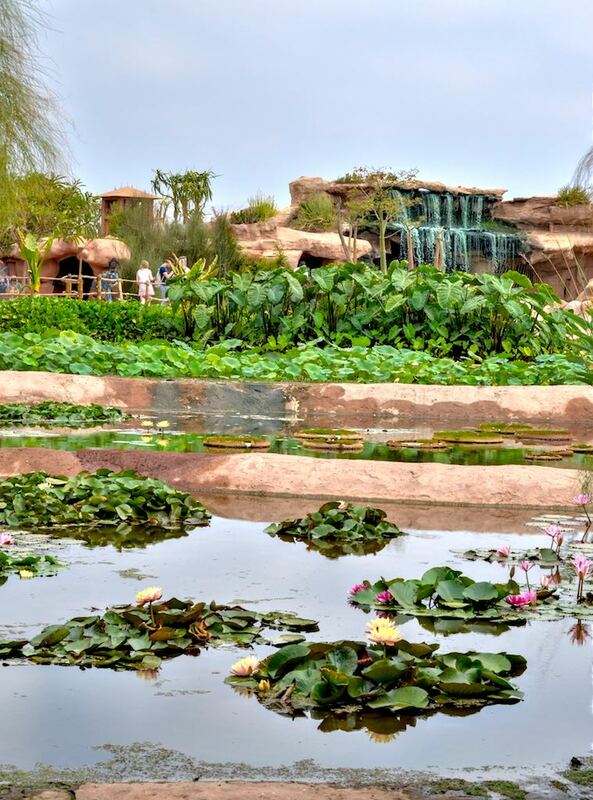 At CROCOPARC, space was reflective towards bringing together several important elements in order to welcome the crocodiles into a comfortable habitation. In order for the crocodiles to be able to warm themselves up; wide, sunny beaches have been appointed. And in order for the females to lay and protect their eggs, planned, sandy areas were installed. In nature, crocodiles and other reptiles use many burrows to protect themselves against excessive temperature, whether through cold or heat. This is why in burrows, in which a large thermal inertia occurs, infrared heating lamps are used, whenever necessary, to always allow the temperature to be maintained at 15°C via an appointed system. CROCOPARC perfectly meets all environmental standards. As well as the regeneration of the site by plants, the three basins are sealed off and operate on the principle of ecological pools. Water flows through a closed circuit into the upper reservoir by means of a waterfall of about 7 meters in height; a flow which allows continuous purification of the water, which then flows through a slide in the intermediate basin before finishing in the lower basin with a gentle slope. The water is finally pumped back before returning to the waterfall. The water cycle then begins again.